A bold transfer policy paid off spectacularly for Gameweek 11's Manager of the Week Jonathan Day. The Englishman's Chudley Cannons scored 130 points after three new players were drafted in for an eight-point hit. The huge haul also propelled Jonathan from 214,575 to 21,620 in the overall rankings. His decision to draft in the Chelsea pair of Alvaro Morata (£8.7m) and Marcos Alonso (£7.0m) was successful, bringing in a combined 19 points. 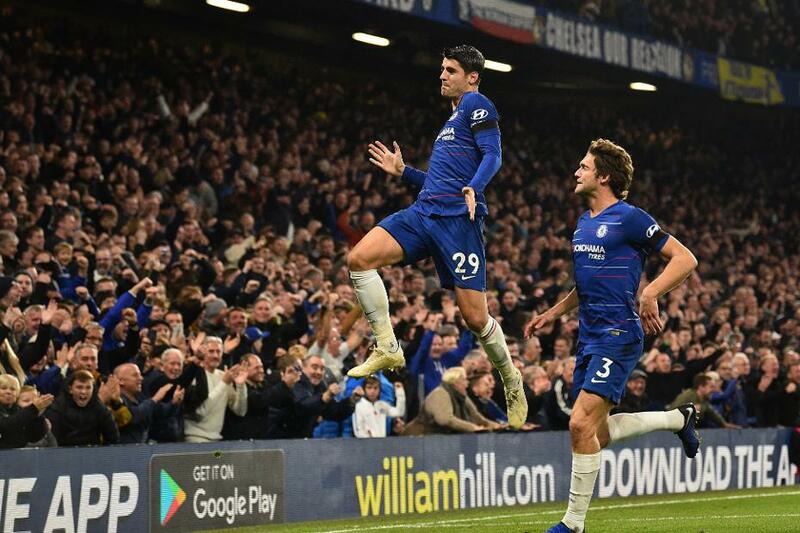 Morata scored twice in the 3-1 home win over Crystal Palace to record 13 points, his highest haul of the season, while Alonso supplied his seventh assist in 11 appearances. However, Day's biggest call was replacing Eden Hazard (£11.3m) with Raheem Sterling (£11.1m). While Hazard was restricted to a four-point return from the bench against Palace, Sterling ran riot in Manchester City's 6-1 win over Southampton. The winger scored twice, assisted two more goals and his 21-point performance was doubled after being handed the captain's armband. Nearly half of Chudley Cannons' points came from City players, with Sergio Aguero (£11.4m) and David Silva (£8.5m) providing solid support for Sterling. Double-digit returns from Everton midfielder Richarlison (£6.8m), Wolverhampton Wanderers forward Raul Jimenez (£5.7m) and Manchester United's Anthony Martial (£7.5m) capped a memorable Gameweek for Jonathan. 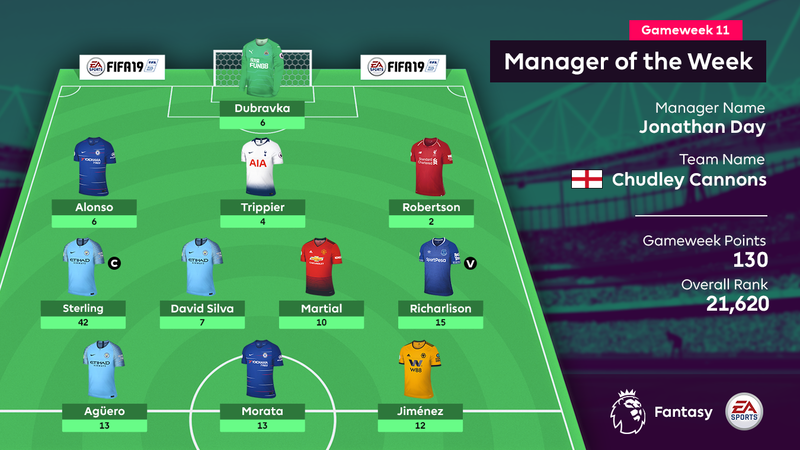 As the manager with the highest score among those not using any of their chips, he wins a copy of FIFA 19, a Nike Merlin match ball and an FPL rucksack and mug.